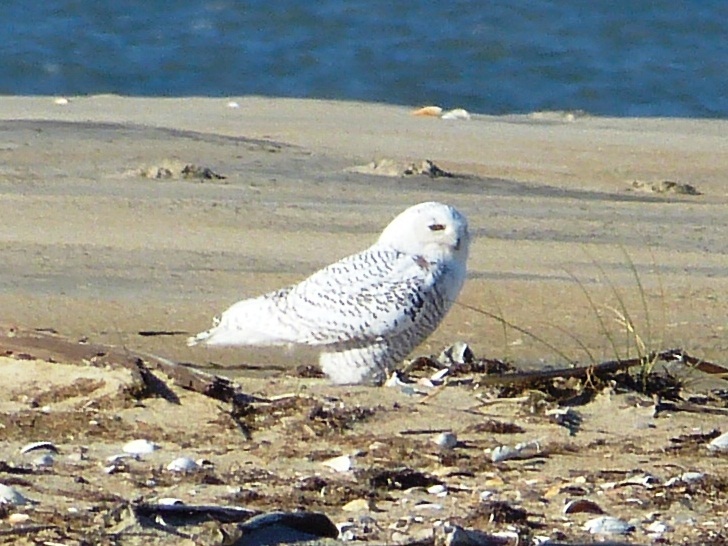 Seeing the Snowy Owl could not have been easier. We parked at the Cape Hatteras campground, walked the quarter-mile trail over the dunes to the beach, and saw the beautiful owl perched on a piece of driftwood. The hard part had been convincing everyone to go for it. It was the first day of the Thanksgiving OBX trip for our group of eight from the Piedmont Bird Club. When we had first talked about the owl, everyone was agreeable to what everyone else wanted to do, but no one expressed a desire to change our plans to see the owl. So, we had intended to stick with our itinerary and go to Lake Mattamuskeet NWR on Thanksgiving, the only day that weekend that it was closed to hunting. But after a friend called me at 7:30 on Thanksgiving morning and said, “We just saw the owl, you don’t even have to walk down the beach,” everyone was willing to change our plans. The Snowy Owl was a life bird for five of our group and a state bird for me. And, it was gorgeous! 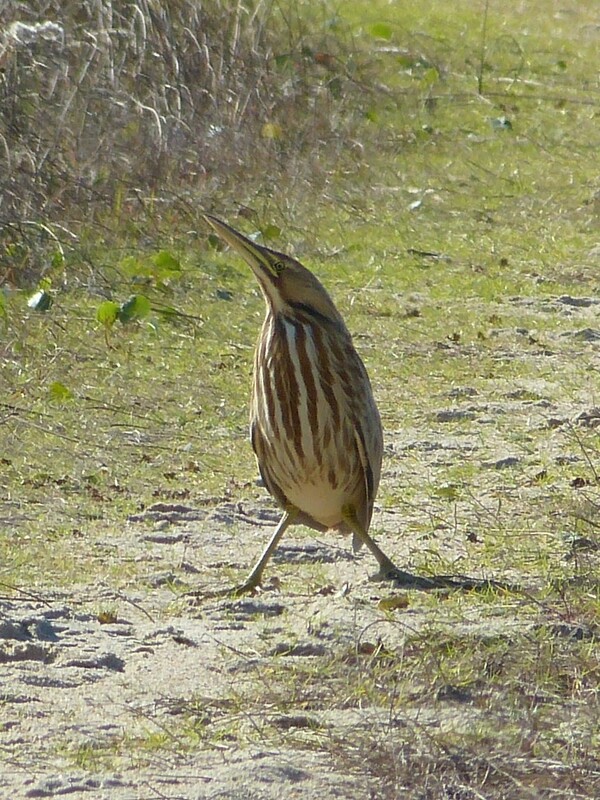 After admiring the owl, we started back towards our cars and had a wonderful surprise – an American Bittern right out in the open in the middle of the path. 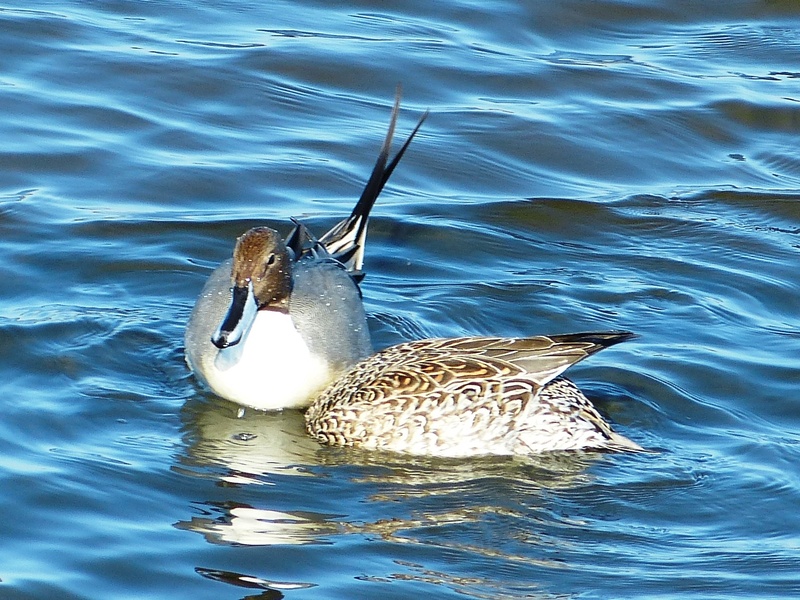 We birders had a lot to be thankful for on Thanksgiving Day. And, it was still early so we continued on to Lake Mattamuskeet. 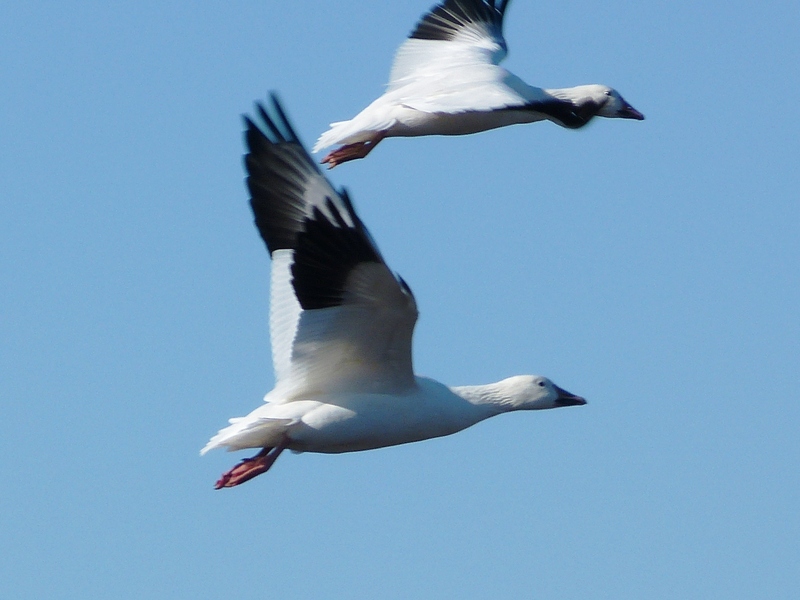 It was full of birds as expected, especially ducks and Tundra Swans, the real stars of wintertime coastal North Carolina along with thousands of Snow Geese. Other highlights were Marsh Wrens and seven Black-crowned Night-Herons. 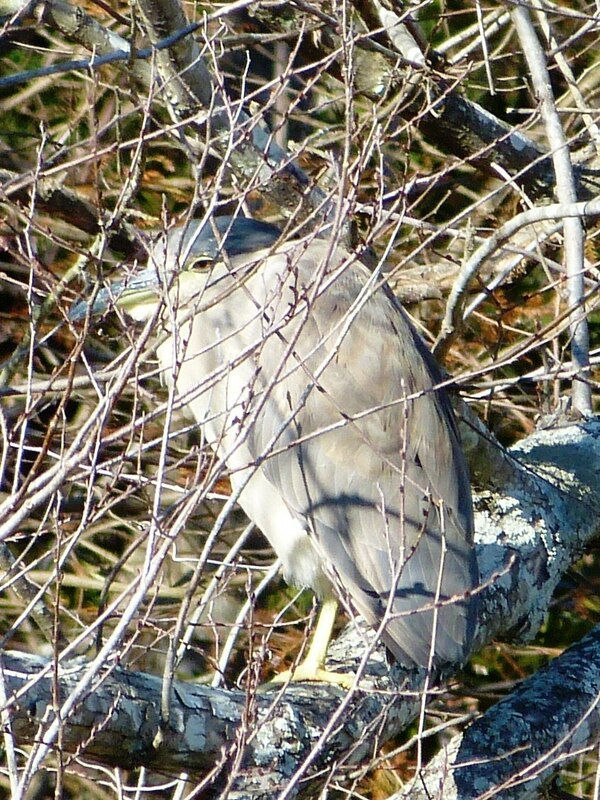 The group of Night-Herons included individuals of various ages. It was the first time that I can recall seeing a second-year bird – no longer spotted like a juvenile, but rather dull and dusky with the bill still partially yellow. 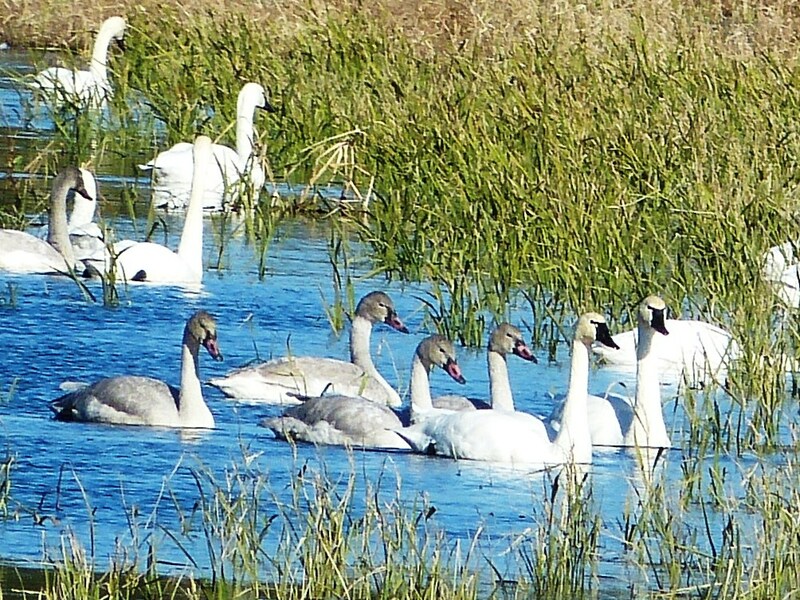 I had seen both Tundra Swans and Snow Geese before, but enjoyed the opportunity to really study them and note details like the pink bills of the juvenile swans. Friday brought more good birds at Pea Island, Bodie Island, and Alligator River NWR. The highlight for that day may not have been a bird at all, but the Black Bear that we found shortly before dark in a field at Alligator River. Although this was a large wild animal, there was something very cute and appealing about him as he moved about in the field munching on vegetation. 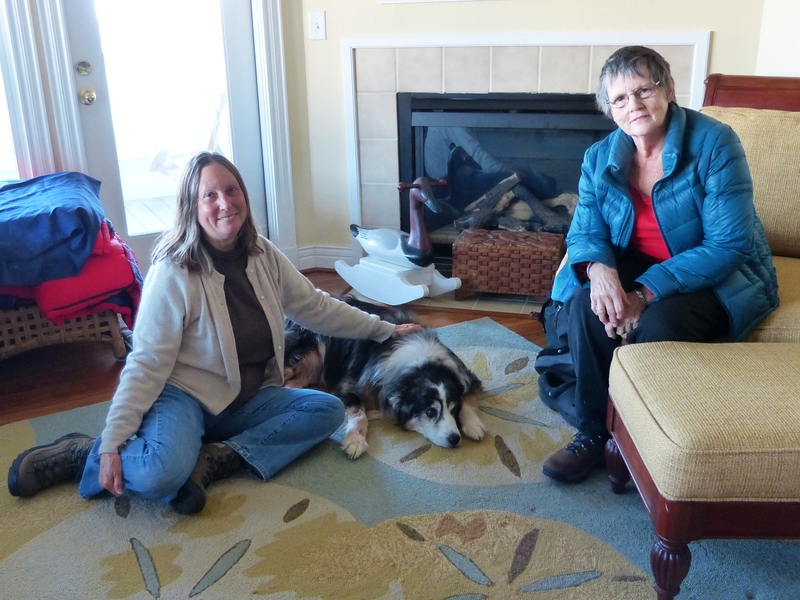 We had another “bear” for the weekend when a friend of Emily’s cousin showed up unexpectedly with his large dog to spend the night at the condo where most of our group was staying. I was glad that I was sharing a room with Phyllis as otherwise it might have been a little crowded on the sofa at the condo. Phyllis quickly became Bear’s new best friend when she took him for a walk, but I shared my lunch with him, so I think that he liked me, too. On Saturday, our last full day of the trip, we went to Alligator River NWR again. And, the bird that I most remember? A Red-winged Blackbird! I should be embarrassed to tell this story, but I’m blessed with the ability to laugh at myself, so here it is. As we were driving out, a bird the size of a large sparrow flew in front of our car and then perched in a shrub on the side of the road. We stopped, admired the bird, puzzled over its identity, and I took dozens of photos. We saw only the back of the bird and the face. The pattern on the back and wings was intricate and beautiful; the orange on the face was gorgeous! We thought that it must be a rare sparrow that we just couldn’t identify. After puzzling over the photos for a while, we realized what it was. 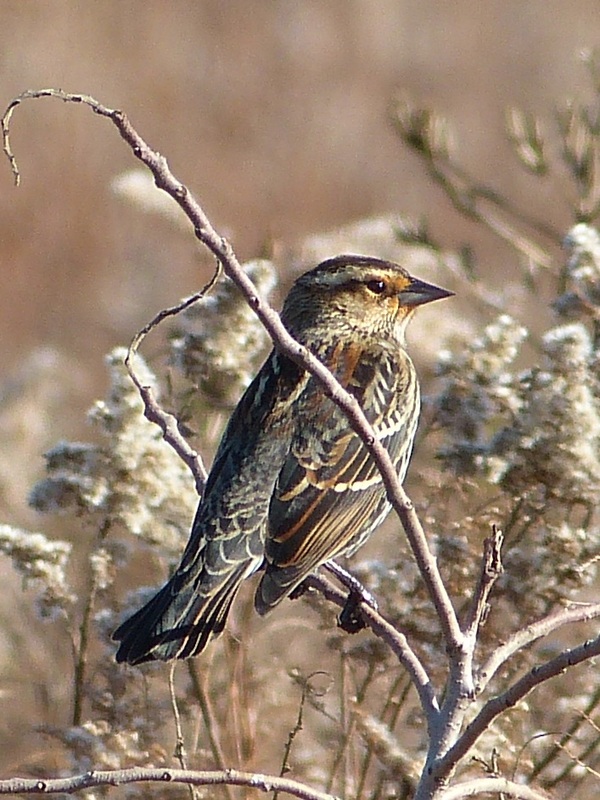 A very common bird that I thought I’d learned years ago – a female Red-winged Blackbird. I love the never-ending lessons of birding. I don’t need new life birds when I can’t remember the birds that I’ve already seen! After a stop at Jennette’s Pier in Nags Head and another at Bodie Island Lighthouse & Pond, the trip was over all too soon. Our final birds of the trip were a few gulls and at least 75 Northern Gannets that Phyllis and I saw from our sixth floor ocean-front balcony the next morning. It was peaceful yet thrilling to watch the large group of gannets soaring, gliding, swooping, and diving. I felt totally happy and content, lost in the moment, while watching those gorgeous birds. Emily Tyler did an excellent job organizing and leading the trip and it was great fun sharing the experience with new friends. I’m looking forward to the next Piedmont Bird Club trip.